Despite frequent challenges it faces in the media, few would deny that the Catholic Faith is a serious force in the world. The Church in the United States has particular influence in the universal Church, primarily due to the economic strength and entrepreneurial spirit present in the United States. Given this, it is important for Catholic leaders to understand the key trends occurring in the Church, both here and abroad, and how these trends are impacting our parishes, ministries, and faith journey. "Being Effective Apostles in the 21st Century"
In a society that values secularization, religious indifference, moral and religious relativism, consumerism, and immorality, how do we as Catholics lead others to encounter Jesus Christ and live out this encounter through an active life in the Church that Jesus established? In this presentation, Matthew Pinto emphasizes the need both for the institutional Church as well as our individual members to embrace a new evangelizing attitude and an openness to new methods of evangelization. Matt speaks of immutable “postures of the heart and modalities in Church practice” that are essential if we are to be effective teachers, catechists, evangelists, and pastoral leaders. His comments are rooted in the practical, even while unpacking rich theological concepts. Matt draws on Church teaching, personal experience, and examples of successful Catholic leaders in the Church today. In “Our Hearts Were Burning Within Us,” a document released by the USCCB in 1999, the U.S. bishops called parishes to devote serious attention and resources to adult faith formation as a means of unlocking the power of the New Evangelization. In this presentation, Matthew Pinto will help his audience better understand what is meant by “the New Evangelization,” and then will explain why the essential way to bring it about is by evangelizing, catechizing, and discipling adults. 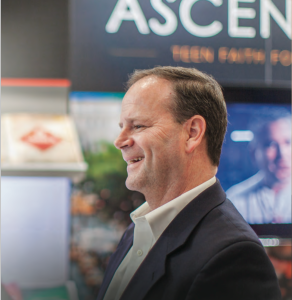 Drawing on his 25 years of experience developing and publishing adult faith formation resources, Matt will offer practical ways that parishes can take their adult faith formation programs to the next level, thus becoming agents of the New Evangelization. “The Gift of Being Catholic"
In today’s pluralistic world, people practice a variety of faiths or no faith at all, and it is easy for Catholics to lose sight of the particular blessing they enjoy as members of the Church. In this upbeat, positive talk, Matt presents the beautiful and sublime gift that Jesus gave the world when he established his Church upon the apostles. From the grace offered us through its sacraments to the truths of Sacred Scripture and Tradition, the Catholic Faith gives us a truly balanced, correct view of the world and God’s profound plan of salvation. You will come away from this presentation proud to be Catholic, with a sense of duty to share this great gift with others.